A way to start your meal, one chicken quesadilla, 2 flautas & 4 fried chicken tenders, lettuce, sour cream, guacamole and pico de gallo. 8 pc chicken wings flash fried and tumbled in our Mexican hint Buffalo hot sauce. Imagine a sizzling cast iron skillet with melted cheese, roasted chilies & spices-!que rico! & 3 warm tortillas. All Nachos are served on chips melted cheese & jalapenos. Our famous ( Chicken or steak) fajitas Served on a bed chips, topped with cheese & jalapenos. 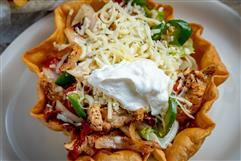 Beef or Chicken nachos with melted cheese, topped with lettuce, tomato, jalapenos, and sour cream. Combination ground beef, pico de gallo and cheese Sauce. Our Queso dip blended with Chorizo Sausage with jalapeno peppers. de gallo and cheese Sauce. Huge Burrito stuff with Picadillo (Pork ground beef cook with tomato onions banana peppers & dice potato) drowned in sauce Borracha garnished with shredded cheese. 3 delicious chicken enchiladas topped with our tangy sour cream sauce & rice. 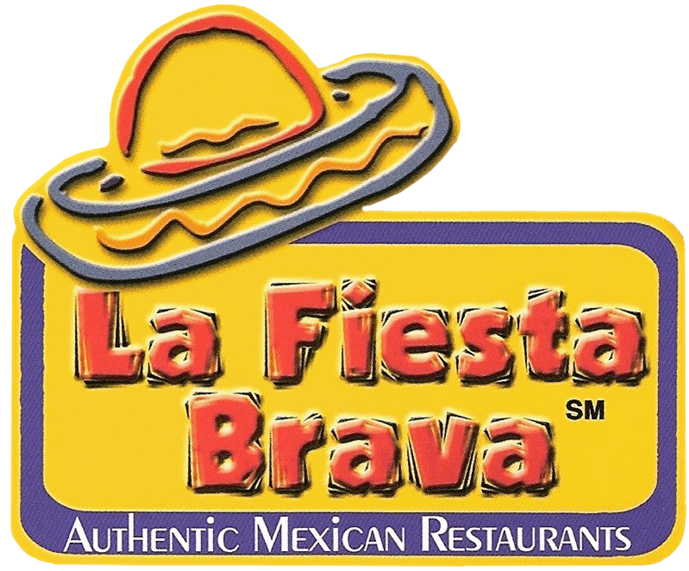 Grilled Tilapia cooked with Pico de gallo served on 3 soft tacos with shredded cheese, lettuce, rice & green sauce. 3 hard shell Tacos: 1 beef, 1 chicken, 1 beans, with cheese and lettuce. 3 chicken enchiladas topped with verde sauce and sour cream served with rice. Burrito filled with beef, chicken, rice, beans, topped with cheese sauce and chili sauce. One Steak or Chicken Fajita taco, served with rice, beans, lettuce and sour cream. Grilled chicken strips over bed of rice, covered with cheese sauce. Steak or Chicken fajitas, over lettuce topped with cheese sauce. 3 enchiladas: 1 chicken with green sauce, 1 beef with red sauce and 1 cheese with cheese sauce, with guacamole salad. Delicious grilled chicken strips over a bed of Linguini pasta with cheese sauce. 8oz Grilled chicken, sauteed with green, red, yellow and, Poblano peppers, with creamy cheese Poblano sauce. 8oz Grilled chicken breast sauteed with cheese spinach, & mushroom. 3 Burritos stuffed with pulled fried pork seasoned in chile sauce, topped with chili and cheese sauce. 3 Flautas stuffed with Chilorio (pork fried in chili sauce ) topped with Guacamole, sour cream, Ranchera sauce & Cotija crumbled cheese. Beef burrito covered with lettuce & guacamole. Beans, Taco & Guac salad. (Fried beef or Chicken Burrito) With lettuce, guacamole, sour cream, tomato and topped with cheese sauce. (Beef or Chicken), lettuce, tomato, cheese & sour cream. (6" fried beef or chicken ) Topped with cheese sauce, with rice & beans. Beef or chicken, soft or hard shell Tacos, with rice and beans. Marinated grilled meat with peppers, onions and tomato Served with rice, Beans, lettuce, guacamole, sour cream pico de gallo and 3 flour tortillas. Steak or Chicken fajitas served over a bed of lettuce topped with Cheese sauce. Taco Shell filled with beef or Chicken lettuce, shredded cheese, and sour cream. Beef or chicken on a bed of lettuce with shredded cheese, tomato and sour cream. Grilled mushrooms, tomatoes, onions, green, red, yellow and Poblano peppers, served on a crispy bowl topped with cheese sauce. Salad mix topped with fresh made Guacamole and shredded cheese. Chicken fajita served on a crispy bowl with lettuce, garnished with shredded cheese tomato & sour cream. Chicken tenders tumbled in hot buffalo sauce, Pico d Gallo, shredded cheese, corn strips & Ranch. Combos are served with rice and beans with melted Cheese, House salad . Any substitution subject to additional Charge. Beef or Chicken taco, and Enchilada. One chile relleno, and beef Taco. Beef taco, and beef Burrito. Enchilada, Taco & Chile Relleno. Chicken Minichanga and cheese Enchilada. Beef Enchilada, & Beef Burrito. Beef or Chicken cheese quesadilla. Add lettuce, tomato and sour cream. Juicy & tender chicken strips over a bed of linguini pasta covered with cheese sauce. Premium Enchiladas are served with a Tossed Salad. 3 Chicken Enchiladas topped with cheesy white cheddar Poblano sauce and crumbly Ranchero cheese. 3 Chicken enchiladas covered with Guajillo chili sauce and a bit of fresh cilantro. 3 chicken enchiladas topped with sauce and Ranchero crumbly cheese. Three chicken enchiladas topped with melted cheese, and sour cream sauce served with rice. 3 enchiladas, one chicken with green sauce one beef with red sauce, one cheese with cheese sauce served with rice. Enchiladas: 1 chicken, 1 beef, 1 cheese & 1 beans, with lettuce & sour cream. 3 fried beef or chicken, enchiladas covered with cheese sauce, lettuce, sour cream & salsa. 3 Enchiladas filled with shrimp mixed with pico de gallo, enchilada sauce rice and beans. 5 Enchiladas: 1 beef, 1 chicken, 1 beans, 1 cheese, & 1 Spinach with melted cheese and enchilada sauce. Three chicken enchiladas with green sauce & sour cream served with rice. 4 enchiladas: 1 spinach 1 beans, 1 cheese, & 1 mushroom with cheese, enchilada sauce and sour cream. Three cheese enchiladas topped with spinach, mushrooms and server with Our house salad. Bean Burrito & Cheese Enchilada Served with rice and beans. Veggie Quesadilla & cheese Enchilada served with rice and beans. Sauteed mushrooms quesadilla, one spinach quesadilla, with lettuce, tomato. Age 10 years or younger. Meals 1 thru 5 include rice, beans or French fries. La Brava specialties are served with House salad . 3 cheese enchiladas & 8oz grilled Chicken breast, covered with creamy cheesy Guajillo sauce and a hint of fresh cilantro. 8oz Grilled chicken breast & shrimp, garnished with Jalapeno cream sauce, served with rice. Shrimp, grilled with chopped onions, tomato, jalapenos and cilantro, served with rice, beans & 3 tortillas. Sauteed Shrimp covered with creamy cheesy Guajillo sauce served with rice and a hint of fresh cilantro. Grilled Chicken breast sauteed with creamy cheesy Guajillo sauce, and a hint of fresh cilantro served with rice. 8oz grilled chicken breast, served with rice, beans guacasalad, pico de gallo & 3 tortillas. Grilled & juicy chicken breast, sauteed with Our sour cream sauce, with rice. Chunky grilled chicken with onions, jalapenos pep-pers, cilantro, tomato, rice, beans 3 tortillas. Grilled chicken breast seasoned and topped with creamy cheese Poblano sauce served with rice. A 8 oz grilled chicken breast, sauteed with grilled onions, and pineapple covered with cheese sauce served with rice. Grilled chicken breast with green, red, yellow and, Poblano peppers, sauteed with creamy cheese Poblano sauce served with rice. Grilled chicken breast seasoned with cheesy spinach & mushrooms served with rice. 12oz T-Bone steak & shrimp grilled to your taste with side of jalapeno cream sauce served with rice & soup or salad. Pieces of steak mixed & grill with onions, jalapeno, tomato, cilantro, with rice, beans, 3 tortillas and Soup or Salad. 12oz T-Bone steak grill seasoned, server with fries, side of cheese sauce, soup or salad. A delicious & tender 10oz Rib eye steak served with rice, bean cheese enchilada and 3 Tortillas. 10 oz Grilled tender Philly steak served with grilled green onions, asparagus whole jalapeno, beans, guaca salad and 3 tortillas. Enchiladas Picadillo (Pork beef cook with tomato onions pepper & dice potato) shredded cheese, lettuce sour cream & side of Rice. Fried chicken or beef burrito cover With cheese sauce, served with rice, beans, lettuce & sour cream. Fried (Chicken or Beef) Burrito and Enchilada with cheese sauce, served with rice & beans. 8 pc Golden fried chicken tenders, covered with cheese sauce, served with rice and beans. 4 fried rolled corn tortillas filled with beef or chicken, served with lettuce sour cream and guacamole. Filet, grilled seasoned for great taste, served with rice, lettuce, tomato, and slice onions. Grilled shrimp, onions, mushroom, Poblano and bell peppers tomatoes served on a crispy bowl of tortilla topped with cheese sauce. Filet tips marinated in our Tequila & lime seasoned and grill with Bacon onions, red, yellow and green peppers, over rice. 4oz grilled Philly steak, 4 oz chicken breast and 3oz Chorizo served with green onions, asparagus, mushrooms, & jalapeno peppers beans, guacamole & 3 tortillas. Juicy, tender & fried pork tips served rice, beans, guacamole, pico de gallo and 3 corn tortillas. Grilled marinated shrimp, chicken and steak, cooked with onions, mushrooms, Poblano and green peppers, served over rice with cheese sauce. Grilled Philly steak, fried pork tips, shrimp chorizo with green onions,& jalapeno, beans mushrooms, guacamole & 3 tortillas. Chicken, beacon, onion, red, yellow and green pepper, seasoned and grilled, with Pasta bathed in our chipotle crema. and Our House salad ¡ que rico! Tacos filled with Tilapia mixed with pico de gallo, with lettuce, cheese, served with rice and green sauce. 3 Tacos filled with Fried pork tips on (corn or flour) tortillas served with rice, beans and pico de gallo. 3 Tacos filled with grilled Chorizo (Mexican Sausage) served with rice, beans, chopped onion and cilantro. 3 grilled philly steak Tacos with sauteed onions served with rice, beans and green chile sauce. Pieces of grilled steak wrapped in 3 tacos, served with rice, beans, and pico de gallo. 3 hard or soft shell (ground beef or shredded chicken) tacos, served with rice, beans. 3 soft shell Tacos with Picadillo, ground beef cooked with tomato, onions, banana pepper, diced potato & lettuce shredded cheese served with rice, & green sauce. Marinated in our tequila & lime, 3 Shrimp Tacos mixed with tomato, onions, peppers and fresh cilantro wrapped in a flour tortilla, with side of shredded cheese. Marinated grilled meat with peppers, onions and tomato. Served with rice, Beans, lettuce, guacamole, sour cream pico de gallo and 3 flour tortillas. Burrito stuffed with Picadillo (Pork ground beef cooked with tomato, onions, banana peppers & potato ) drowned in sauce Borracha garnished with shredded cheese. Beef & beans burrito, topped with cheese, lettuce, tomatoes guacamole and sour cream. Three 6" fried (beef or Chicken) burritos covered with cheese sauce lettuce, sour cream & salsa ranchero. Burrito filled with sliced grilled steak, onions Poblano peppers, lettuce, shredded cheese, side of asparagus and choice of salad or soup of the day. Our famous huge Burrito filled with rice, beans, beef and chicken topped with cheese sauce & chile con carne sauce. Burrito filled with shrimp, onions, tomato mushrooms, peppers covered with cheese sauce lettuce, pico de gallo & sour cream. Fried Chicken strips tossed in our Mexican hint buffalo hot sauce, pico de gallo lettuce cheese, corn strips and Ranch dressing. Choose One Filling: Shredded Chicken, Shredded Beef, Shrimp, Spinach, Veggies, Mushrooms, grilled steak, Chorizo, grilled chicken or Picadillo. Choose Two Side Items: Rice, Beans, Guacamole Salad, Fries, Soup or Salad, Guacamole or Sour cream. Choose One Topping: Cheese Sauce, Guacamole, Guajillo creamy cheese sauce, Jalapeno cream sauce, white cheddar cheese Poblano sauce. Two chicken & cheese quesadillas with lettuce, tomato & sour cream. Quesadilla filled with our traditional Steak, Chicken or Shrimp fajitas, lettuce, Guacamole, Sour cream and cheese sauce. 2 Quesadillas filled with Shrimp topped with cheese and green sauce, lettuce, tomatoes and sour cream. Beef or Chicken Quesadilla, rice, beans lettuce, Sour cream & Ranchera Sauce. NOTICE:Orders are cooked and prepared when ordered. Please allow enough time to cook these meals. To our guest with food sensitivities or allergies, We can’t ensure that menu items may contain ingredients that could cause an allergic reaction. Please order with caution.